Tuesday, July 12, 2016 is Amazon’s second annual Prime day. This is an exclusive sale just for Prime Members and it will feature over 100,000 items. New and existing members in U.S., U.K. , Spain , Japan , Italy , Germany , France , Canada , Belgium, and Austria, will find deals across nearly all departments and categories, ensuring there will be something for everyone. Members in the U.S. can shop starting at midnight PT , with new deals as often as every five minutes throughout the day. TVs: The deal inventory of TVs in the U.S. will be nearly 2x than Black Friday and Cyber Monday combined. 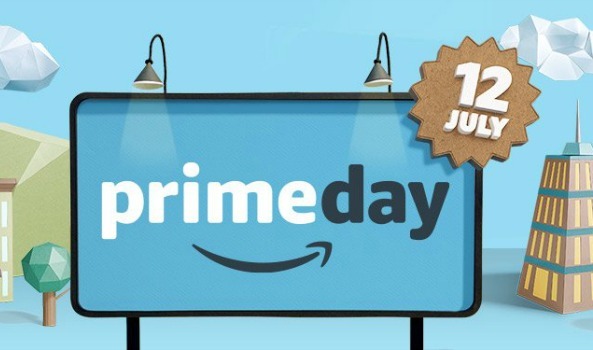 Toys: Members in the U.S. will find toy deals nearly all day on Prime Day. Streaming Movies and TV: Members will find unbelievable deals on some of today’s top rated TV series and popular blockbuster films to rent or purchase and instantly stream on Amazon Video. Kindle Unlimited: On July 12, Prime Members in the U.S. can save up to 40% on a Kindle Unlimited membership. Members can shop deals on all devices, across nearly all categories, in all Prime countries.You can find more info on Prime Day here. This entry was posted in Amazon Prime and tagged Prime, Prime Day, sale. Bookmark the permalink. ← So my computer hard drive died….